Box Dimensions (LxWxH) 30.75 x 18.5 x 16.0"
Outstanding product. It will do anything you need it to with variable EQ settings and wireless control! Wireless control via Bluetooth for up to 4 speakers at a time. Really cool! I've owned this speaker for 2 years and use it primarily for indoor playback at low to moderate levels. The clarity of music and vocals at 50 feet and beyond is fantastic and what makes this signature JBL imo. 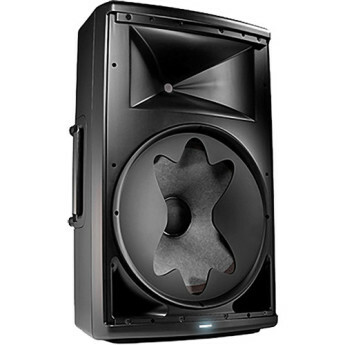 This is an awesome speaker with some serious bass. The sound quality and clarity is excellent! I used it as a DJ as a single speaker for an outdoor pool party and the sound was perfect; didn't even need a second speaker or a sub. The weight is very manageable and easy for one person to carry. a pair of these is all I need to cover a huge space pretty evenly. 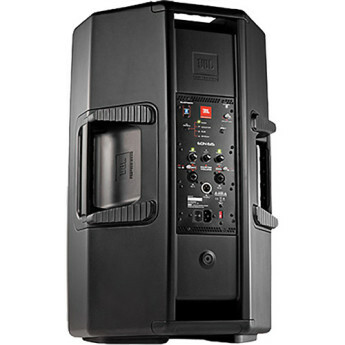 won't need a sub except in a larger outdoor venue. 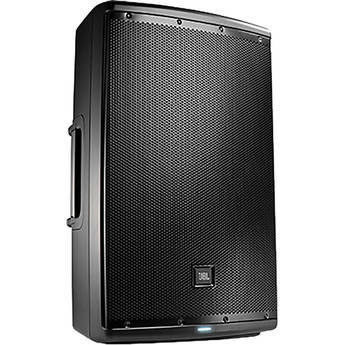 I use these speakers for small events and they're just awesome!! The sound quality is amazing! These bad boys pump. And the bluetooth control is just a bonus. 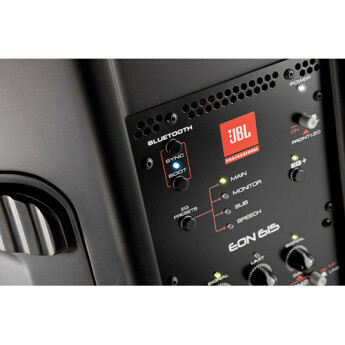 The JBL EON 600 series represents a new generation of self-powered speakers that redefines portability and price performance ratio. Two aspects that stands out immediately after listening to these speakers. The first aspect is, they sound amazingly good, detailed & refined. This is a downgrade in the EON speakers. The speaker before this is the 515XT which is a super speaker. But they stopped making those and now they make these, and it's a downgrade. First of all, the SPL is 127. It used to be 132. Why would they do that? Secondly, it's a little bit heavier.